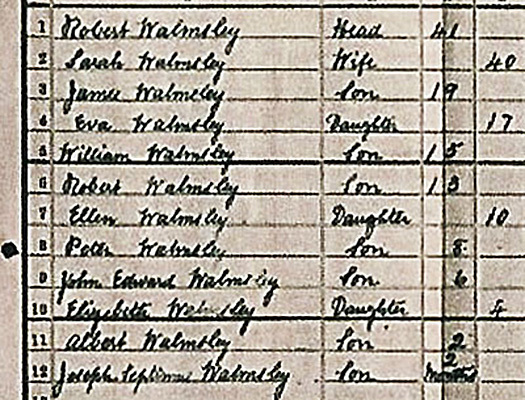 The Family of Robert & Sarah Walmsley, as displayed in the 1911 Census. In 2002, Albert Walmsley, last surviving child who went on strike, told his story in a Channel Four documentary 'Horrors on the Home Front'. Born in 1908, Albert was the 9th of 11 children of Usworth Deputy, Robert Walmsley (originally from Lancashire) and Sarah Carr of Usworth. 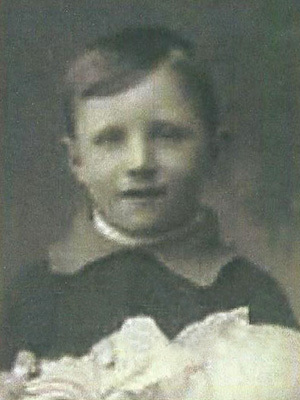 His father's brother (James Walmsley) and his mother's father (William Carr) had both been killed in the 1885 Usworth Colliery Disaster. Albert's elder brother Bob had joined the North Staffordshire Regiment, but had been gassed and was now living at home again. It wasn't the sight of his disabled brother that upset Albert, it was the memory that, in the winter of 1917, his family had virtually no food to eat. "What me mam had to do was get a miner's stocking and fill it full of onion, like toasted onion, boiled onion, fill it full and tie it round his neck. It done him the world of good, too." "We were getting short of bread, short of supplies. Mother, she had a basin and she'd get a slice of bread. She'd tear it up into little pieces and put hot milk on and give it to us." "There was some dying of what they called consumption. Oh, it was a terrible thing. It took months before they died. It would bring tears to anyone's eyes. There were two of my pals, Jimmy Anderson and Jackie Hoff, they lived in Waterloo, just a bit out from Usworth. Their constitution got that low. They had galloping consumption, because they were hungry. There was nothing inside their body to fight. Doctors couldn't help. Their mam gave them sweet water thinking it was medicine. They just more or less lay there and died. You know, it was pitiful. Mind you, there wasn't just one or two. There was quite a lot died during that time." Albert recalled how the miners themselves couldn't strike. Any reduction of the meagre weekly wage earned by Usworth and Washington miners would have spelt disaster for their families. Their only bargaining power lay in the children. They decided on a collision course with the local authorities. "The children were getting that hungry they used to cry. Well, it was no good going to school to cry. That's the reason the parents had to take charge. The miners used to have these meetings where one of them would go around with a big rattle like they used to have at football matches. He went around all the streets and told the miners there was a meeting at seven o'clock about the children being starved." "The place was packed. We started digging our heels in, and they said, "If you're not going to give us any aid, that's it." Well, it was up to the council to decide what they were going to do." "So we all came out on strike. The school was empty. There was no point in the school board man doing anything about that. Our parents were behind us. And after a few days, they gave in. Every dinner time from then on, we had a free dinner bun and soup with good stuff like carrots and turnips and leek in it - oh, it was fine soup. We weren't so hungry then, so that was a real victory." 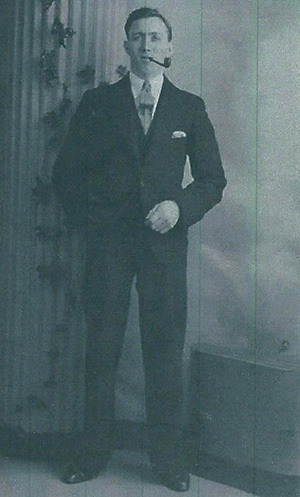 Albert left Washington in 1930 to become a policeman in Middlesex, where he married and had a family. He died in 2003, aged 94. 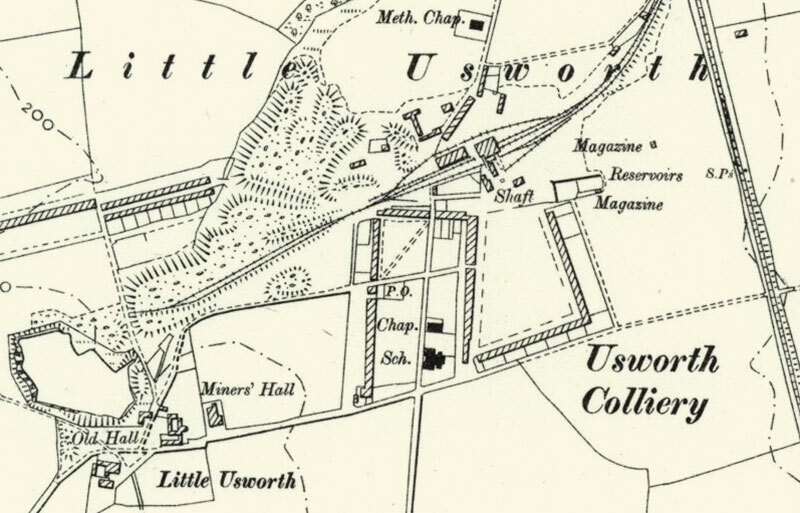 MAP OF USWORTH, 1888 - 1913. The Walmsley Family lived in The Square - just above the Post Office (PO).